Good morning polished world! Happy Wednesday to you all! My whole body is in pain because I thought it would be a good idea to rake the front yard. You know, the front yard that is massive and has a gigantic maple tree which dropped majority of it's leaves in one day. Oh well, it was a good exercise....maybe? I'll make my final decision when I'm not in so much pain. 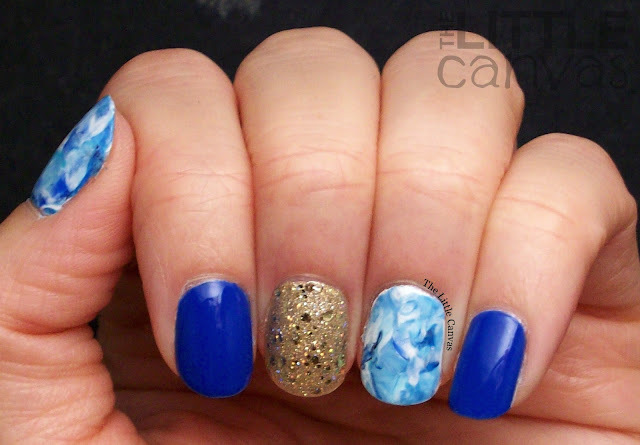 Today I'm bringing you a simple blue smoosh manicure. After my successful Halloween smoosh manicure, I couldn't wait to attempt the design again. Since I love blue, it was obvious an obvious color scheme. 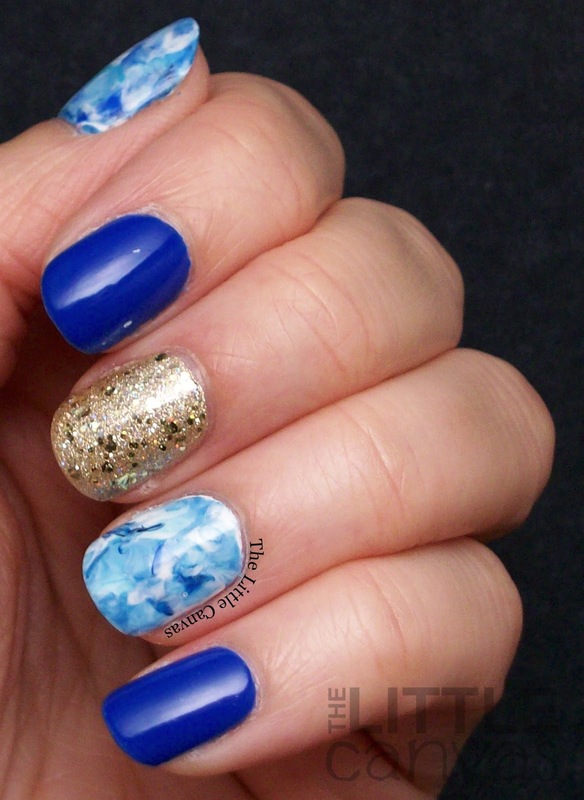 Guys, I fail, I forgot to write down what blue polishes I used to create my smoosh manicure. I did use a base of blue, then had four blues ranging from navy to sky blue along with a white. 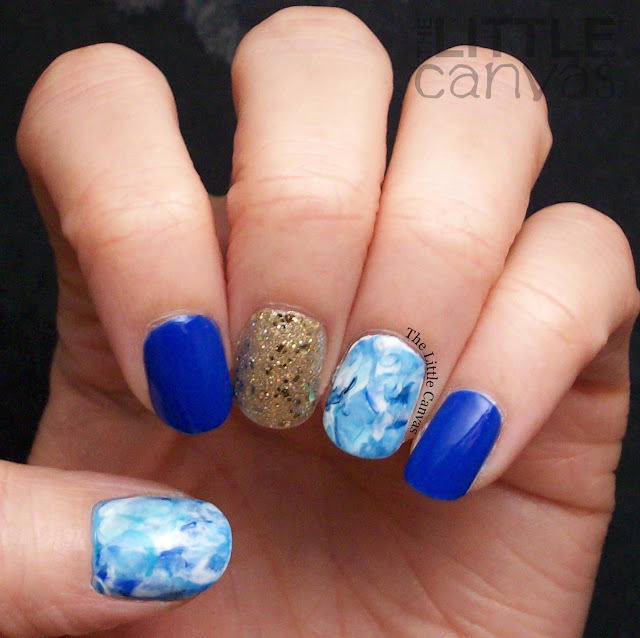 To get the look, I dripped a few drops of each polish onto a stamper, stamped it on a paper plate, then onto my nail. Cleaned up the little that bled on the edge despite the fact I taped everything up, added a top coat, and enjoyed. Byte Blue is one of my all time favorite blue polishes. 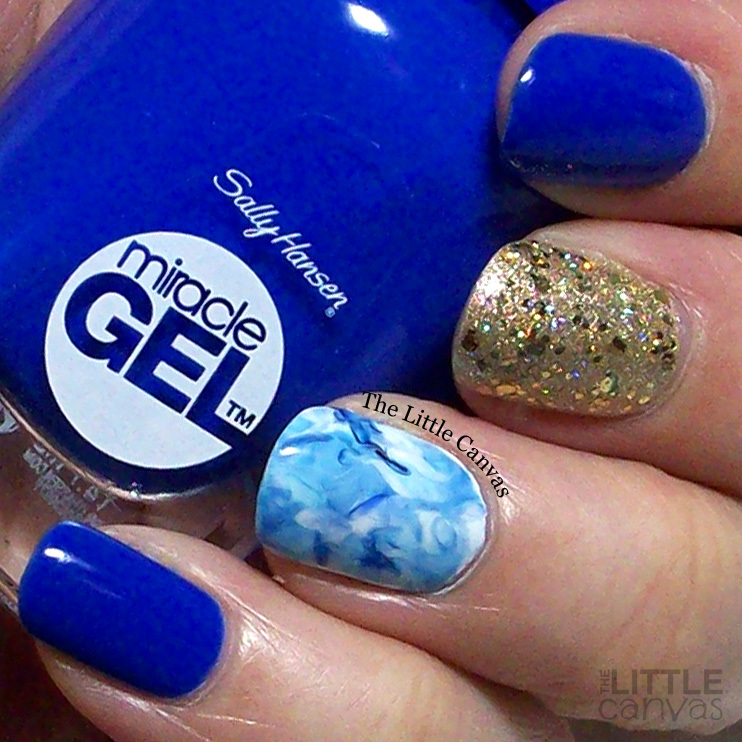 Two coats and you have the most gorgeous cobalt blue polish. Since it's a Miracle Gel, the wear time is amazing. Love, love, love. I need about ten bottles of this polish. Sunshine Rainbow by Serendipity Polish really accented this manicure well. One coat over OPI Love Angel Music Baby. 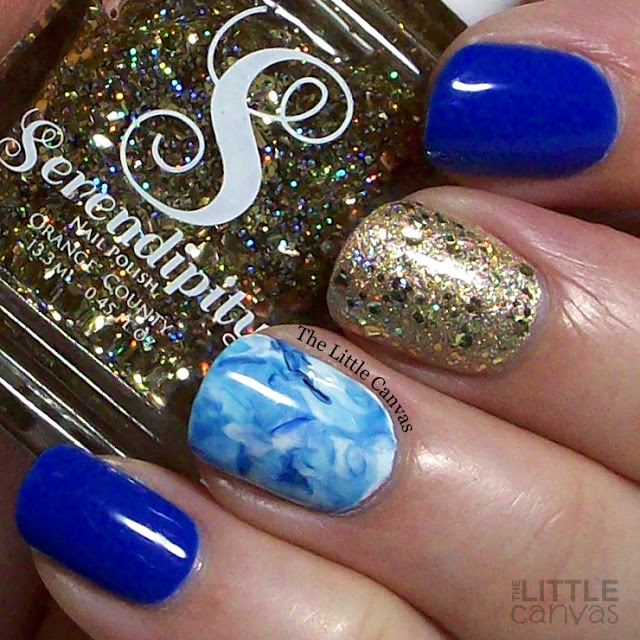 I love one coat glitters which apply evenly and don't require any dabbing or glitter placing. Overall, I think this manicure has a summer feel, which was just what I needed after Halloween and all those dark manicures. What do you think? Fan of the smoosh? Like the color combo? ?